Trinseo (NYSE: TSE), the global materials company and manufacturer of plastics, latex binders and synthetic rubber, will introduce a broadened medical portfolio when it exhibits at the COMPAMED trade show in Dusseldorf, Germany from November 14 – 17, 2016 at booth L39 in Hall 8B. Trinseo continues to expand its plastics portfolio for medical applications beyond polycarbonate-based compounds to medical grade styrenics. This includes its newest plastic, STYRON™ 2678 MED Polystyrene Resin, a general purpose polystyrene (GPPS) offering the versatility of polystyrene with the assurance of biocompatibility and a three year extended notification of change. STYRON™ 2678 MED is ideal for clear packaging, diagnostic components, petri dishes and test kit housings. Trinseo will continue to highlight its MAGNUM™ ABS Resins and EMERGE™ Advanced Resins for applications including single- and multiple-use drug delivery devices and equipment housings. The company’s ABS offers the advantage of mass polymerization technology which results in lower residual monomers, exceptional purity, brilliant whiteness, and lot-to-lot consistency. Trinseo supports the medical market through its Consumer Essential Markets (CEM) unit, part of its Performance Plastics business. 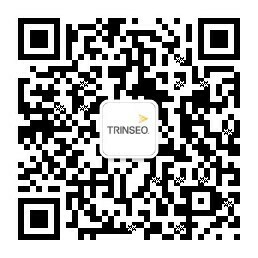 Last month, Trinseo achieved a milestone when it became ISO 13485 certified as “manufacturer and developer of medical compounds” at its medical production facilities in Stade, Germany and Hsinchu, Taiwan and also in ancillary functions including Research & Development, Technical Service & Development, Sales, Quality and Procurement. This certification indicates Trinseo’s commitment to the medical devices business and strategic alignment with its customers’ objectives. Earlier this year the company introduced a new production and fulfillment model featuring custom medical compounding in Asia Pacific complementing medical compounding in North America and Europe. These facilities are sourced with polycarbonate base resins from Trinseo’s highest quality, medically-equivalent resins produced in Germany and also by its joint venture partner, Sumika Styron Polycarbonate Limited, in Japan. To arrange a meeting with Trinseo onsite at COMPAMED 2016 contact Paula Biskup, global business communications manager.